The modern kitchen is not complete without a microwave. Big Chill’s retro microwave makes your kitchen a bit more unique and a lot more cool. Our multiple settings will heat a range of dishes from popcorn to fresh veggies. Our retro microwave matches the style of our other Big Chill appliances. 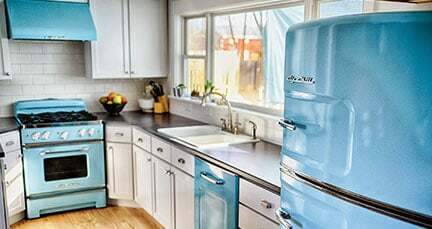 Unlike other retro microwaves available on the market, Big Chill offers eight standard colors to best match your kitchen. Want more options? 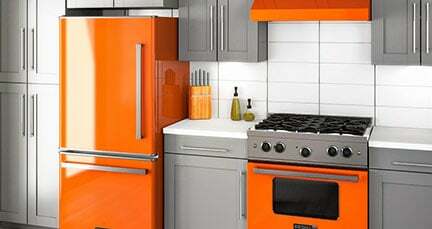 Choose from any of our 200 custom colors for your retro microwave and nuke your dinner up in style. 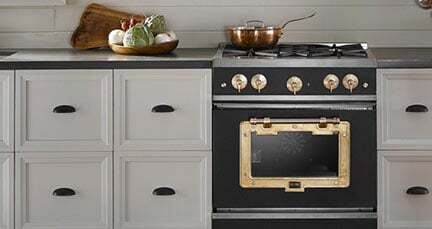 »With a curbside delivery your cooktop, the delivery personnel will leave the appliance at your curb.